GILBERT, Ariz. — The United States Supreme Court has agreed to hear a challenge to a municipal law in Arizona that indirectly forces churches to display their signs at night, while allowing other types of signs to be displayed 24/7. 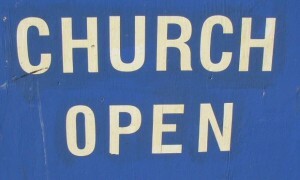 As previously reported, in 2008, Good News Community Church of Gilbert filed a lawsuit in federal court seeking to obtain an injunction against the city’s sign ordinance, which prohibited entities from displaying temporary directional signs on the public ways more than 12 hours before services and more than 1 hour afterward. The church had found itself in disputes with the city prior to filing the suit, as officials claimed that members were displaying too many signs and was leaving them up for too long. A directional sign is a sign with an arrow, pointing traffic to a particular event or location. However, the three-judge panel was divided as Judge Paul Watford opined that the ordinance violated the First and Fourteenth Amendments to the United States Constitution. He noted that since church services begin at 9 a.m., and the signs may only be erected 12 hours prior to the service, the signs would have to go up at 9 p.m. and remain through the dark of night, when no one could see them. Watford found the requirement in this instance to be glaringly problematic—especially in light of the fact that political and ideological signs were not subject to similar limitations. Therefore, Alliance Defending Freedom (ADF), which has been representing the church in court, appealed the matter to the United States Supreme Court, asking that the 9th Circuit decision be reversed. While the high court declines the majority of cases presented for an appeal, it agreed last week to hear the Gilbert case. “I think this court has shown a strong desire to clarify these important issues regarding First Amendment rights,” ADF Legal Counsel Matt Sharp told reporters. According to reports, Gilbert officials offered an amendment to the law in 2008 after the lawsuit was filed, which allowed signs to be posted for a longer period of time. However, the amendment is not a part of the current legal challenge.